USA Summer Games here we come! We’re in the middle of the racing season here in Utah. On Saturday June 2nd we had our Keelboat Regatta at Utah Lake. It was our first year racing in the afternoon, normally our 1st race starts at noon. This year we started at 2:30 and it turned out to be a great decision. 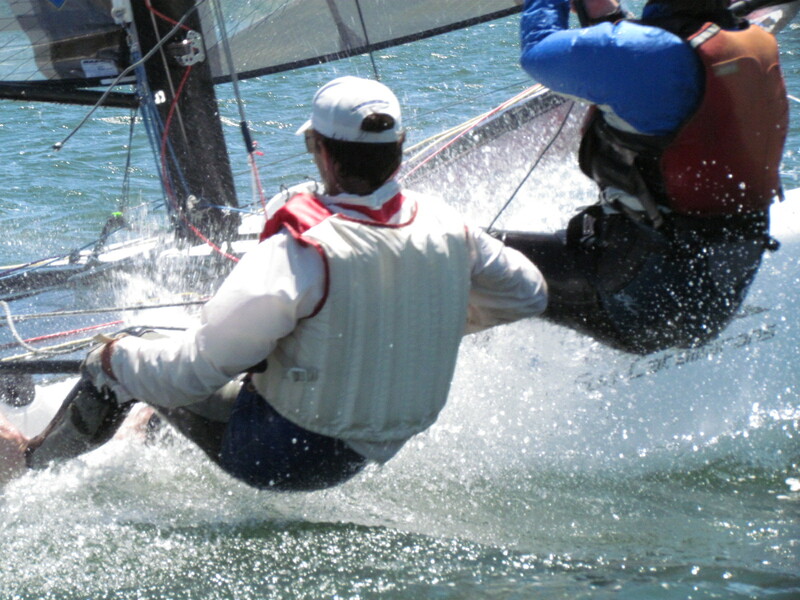 The wind was nice and steady until a short micro-burst wind blew through on the last part of the last race. We can hardly wait for this one, because this is our race. We break out our 16 every year in hopes that we will have several other cats enter so we can practice our racing skills. The past few years it’s been a mix of tough competition, no wind, high winds, emergency rescues and the best races we’ve ever been in. We’re hoping this year for some good consistant wind on Saturday the 23rd and high clouds and warm weather up at Deer Creek Reservoir. Oh yeah, we’re hoping for a Gold medal too. Not to brag or anything, but the Gold may have adorned our necks in the past, let’s see if we can keep it up. THE USA Summer Games are still looking for sponsors. If you would like to donate as a sponsor please contact the Utah Sailing Association, who is facilitating the race.